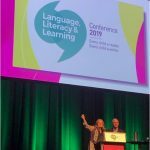 An important article by Anne Castles, Kathleen Rastle and Kate Nation summarising the process of learning to read from novice to expert, and seeking to end the “reading wars”, has just been published. 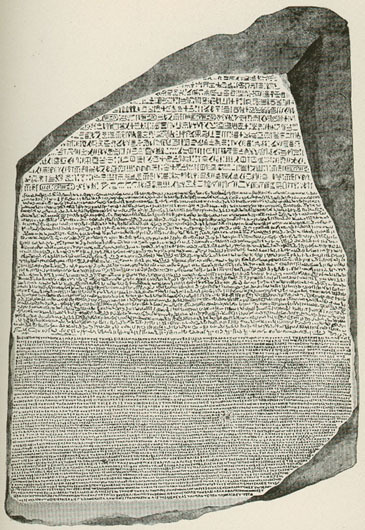 It’s written in plain English and freely available online. 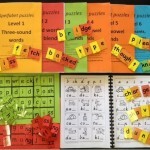 It says that phonemic awareness and phonics are vital and central during the early stages of learning to read, but that a lot of other things are involved in becoming a proficient reader. Please read it and share the link around. 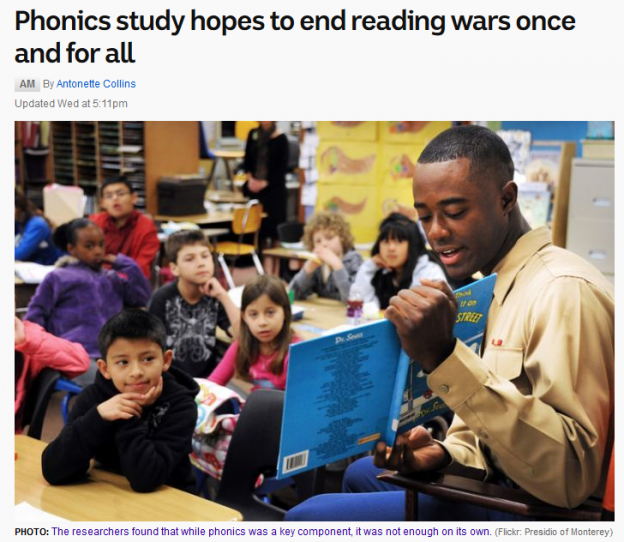 Of course, the media’s antennae tend to be tuned to conflict not consensus, so one newspaper reports this with the headline, “Call off the reading wars, phonics wins: study“. 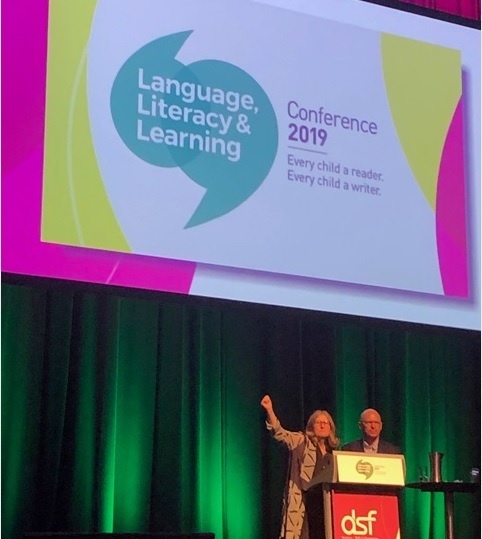 The ABC also interviewed one of the authors, Anne Castles, who said a lot of tremendously sensible things as she always does (you can hear her in a radio report here), and also sought comment from Dr Paul Gardner of Curtin University’s School of Education. 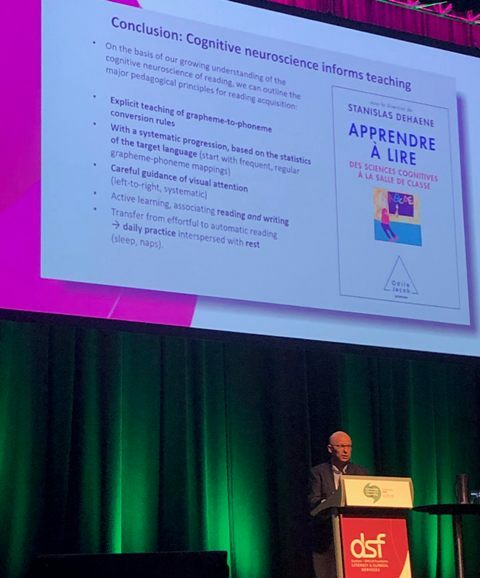 Re ending the “reading wars” he said that, “the problem was with those who advocate phonics as the only approach” and added that “They tend to be people with no classroom experience … from speech pathology, cognitive psychology and think tanks”. Now, I know not everything is about me, but I reckon I’m probably one of the people he is talking about, since I write a widely-read blog about phonics and am a speech pathologist. This entry was posted in curricula, literacy problems, research, reviews, teaching strategies, theory on June 17, 2018 by alison. Before I buy a book, I like to pick it up and look through it properly myself. I also like to hear about it from independent reviewers, not rely on information from those selling it. They’re hardly going to tell me if there’s something wrong with it. 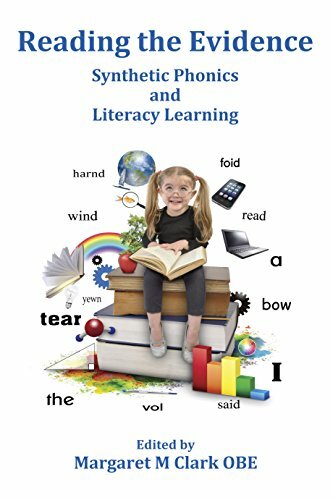 Unfortunately, a lot of excellent books and other resources to help kids learn to read and spell aren’t readily available in mainstream shops. They’re only available online, or from specialist shops that aren’t always easy to visit. So they’re hard to leaf through, and it’s also difficult to find independent reviews of them. 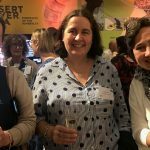 I’m thus using this blog to help get the message out about good resources I use and recommend from publishers and specialist stores without huge marketing budgets. 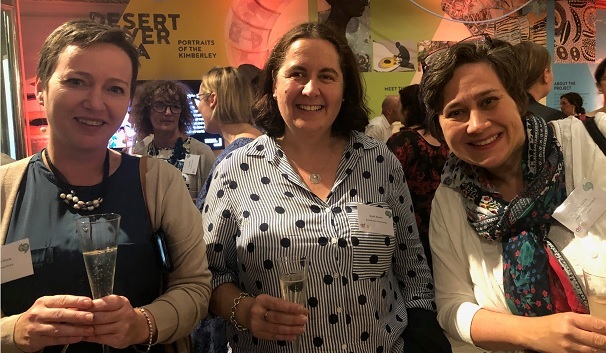 I hope this helps more learners get access to them, plus helps those selling them compete with huge companies peddling nasty look-at-the-picture-and-guess books and other dross. 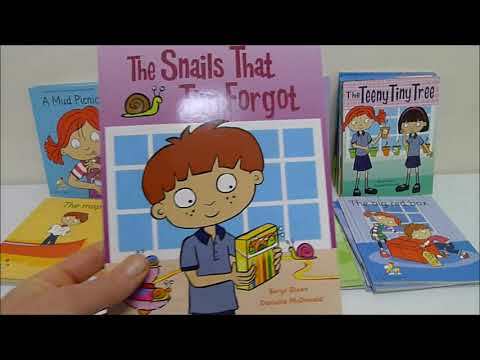 Here’s a video I’ve made about the Pip and Tim decodable books from Little Learners Love Literacy, which I think are perfect for Aussie 4-6 year olds. I use them with some 7-year-old strugglers too. 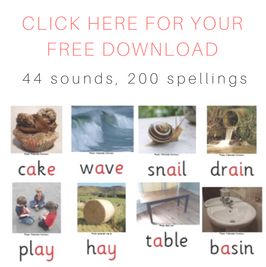 They’re cute, funny and designed to help kids learn to sound out words quickly and well. They’re also available very affordably as iPad apps. No, I don’t sell these books or get paid any commission on them. I just like them a lot, and hope that (if you have 4-7 year-old literacy learners in your life) you do too. 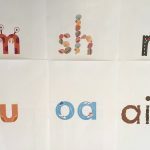 This entry was posted in books, curricula, phonics activities, reviews, sound-letter links, spellings, teaching strategies on August 23, 2017 by alison. 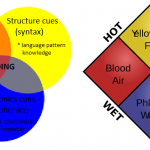 How many inquiries into literacy education do we need? 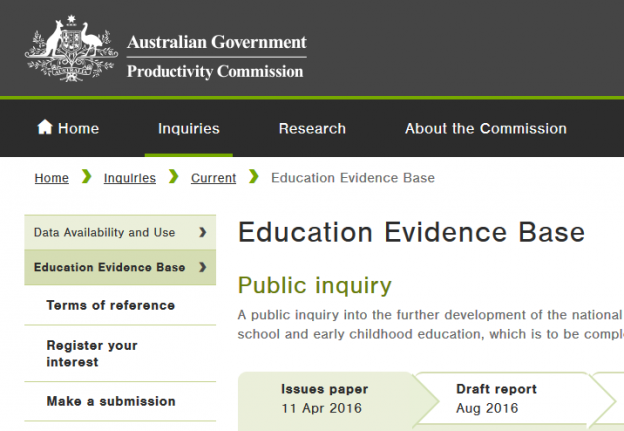 The Productivity Commission is holding an inquiry into the national evidence base for school and early childhood education. An issues paper is now available (click here to get it), and submissions are open until 25th May 2016. So you’ve got plenty of time to write a submission. But is it worth writing one? 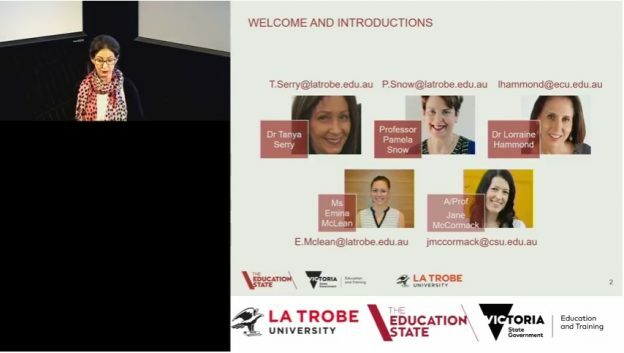 Will this inquiry ultimately lead to more evidence-based practice in education? Or will its recommendations be ignored? The 2005 National Inquiry into the Teaching of Literacy examined the evidence on the teaching of literacy. You can read all about its findings, which are yet to be widely implemented, here. 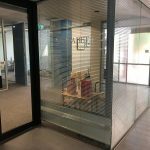 Former Parliamentary Secretary for Disabilities and Children’s Services Bill Shorten, now the Opposition Leader, also commissioned a report on how to help people with dyslexia, and another comprehensive report can be found here. Its recommendations still haven’t been implemented either. This entry was posted in curricula, research, reviews, teaching strategies, theory on April 25, 2016 by alison.